It was a very nice cruise [8-day Queen Violeta]. I really enjoyed the river, the skiff excursions, very good food, the group, the staff and service and the breathtaking sunsets. I was thrilled to see the dolphins, especially the pink ones. The best animal I enjoyed was Theresa, a baby sloth a little boy rescued and raised. We got to hold her and love her! It was super. But the highlight of the trip for me was...(drum roll)...seeing Shakira singing and dancing, putting on a special show for us!! Well, it was J.C., our bartender, who dressed in a Shakira type outfit and he danced with a video of Shakira singing and dancing. It was the funniest, yet exceptionally talented show. We were flabbergasted by his talent. He belongs in Bollywood! About your service, you were very accessible, courteous and helpful whenever I called. 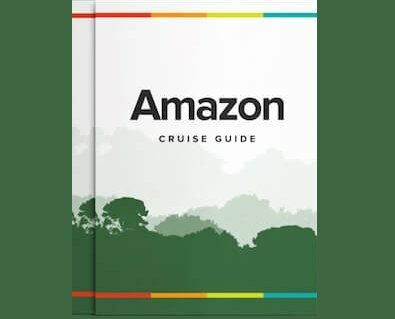 Yes, if and when I am ready to take another cruise tour, I will call you and I will recommend you to anyone who wants an Amazon River cruise."